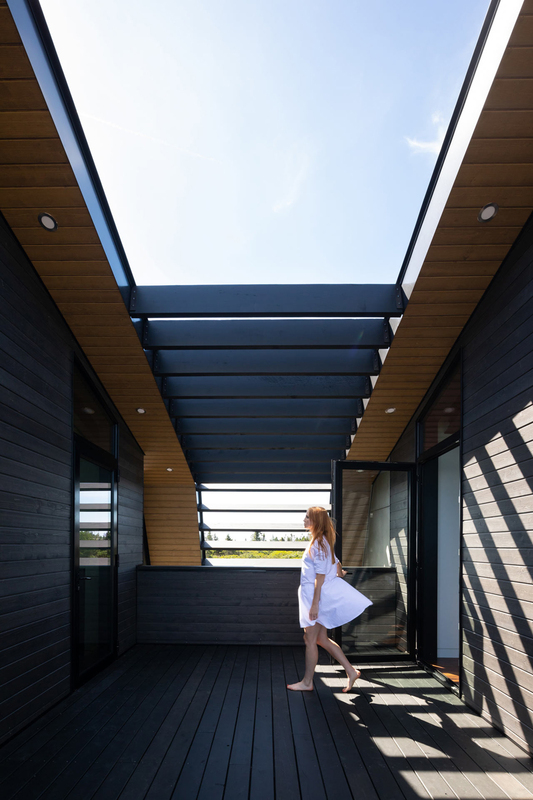 A ground-level terrace features a plunge pool extended out front before it cuts through the house as an internal breezeway reaching the backyard. 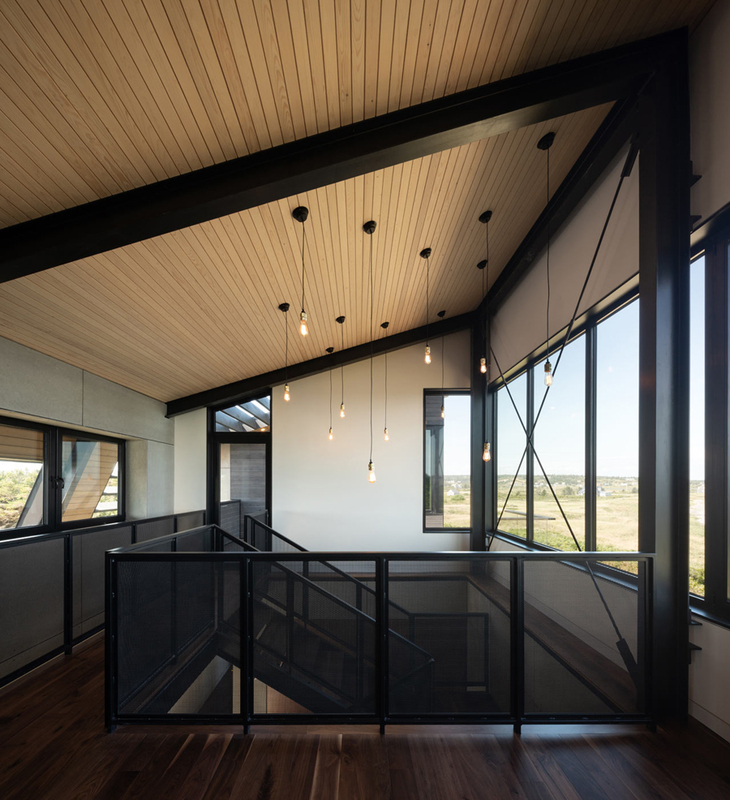 Also on that level is a garage and guest suite each on either side of the opening. 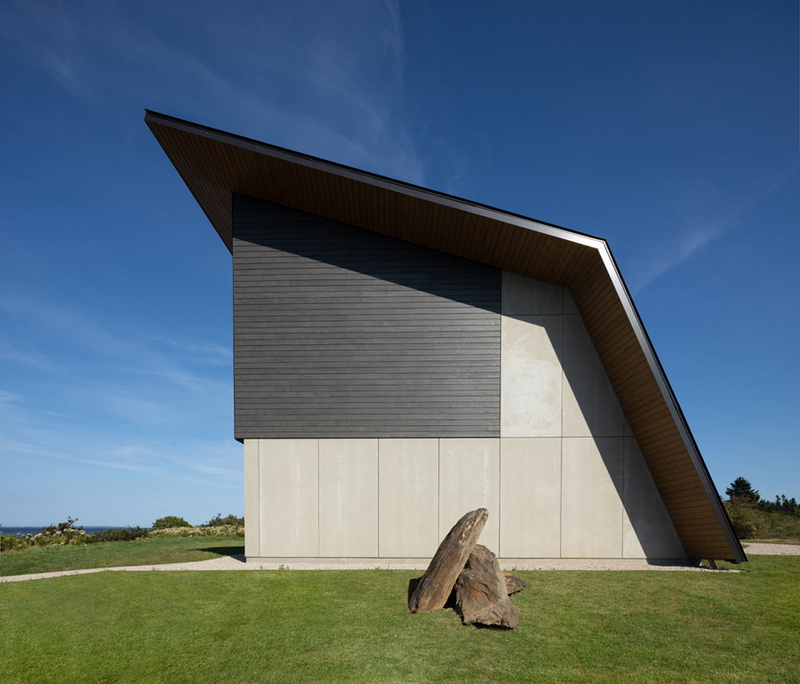 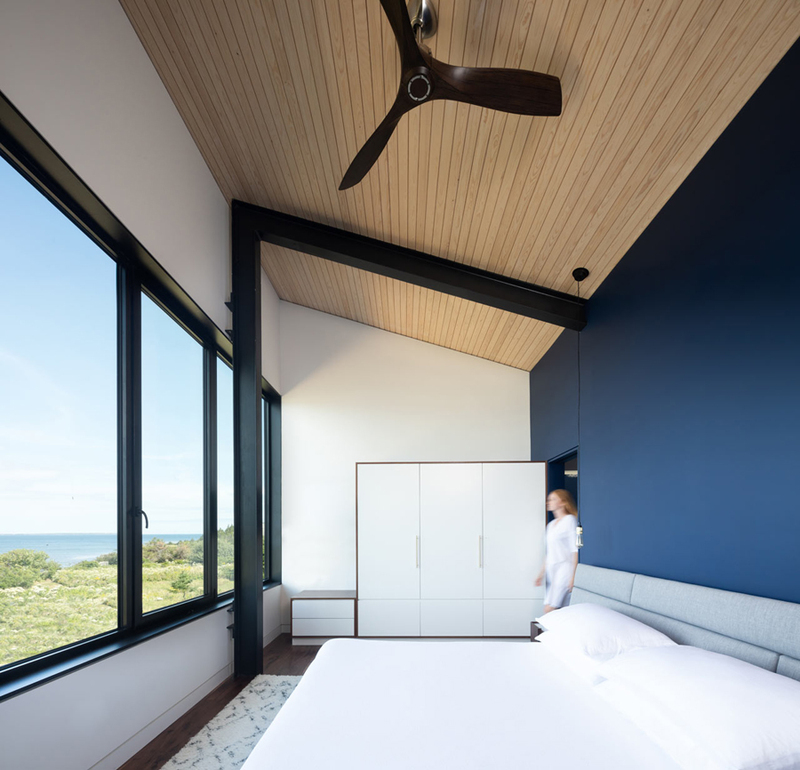 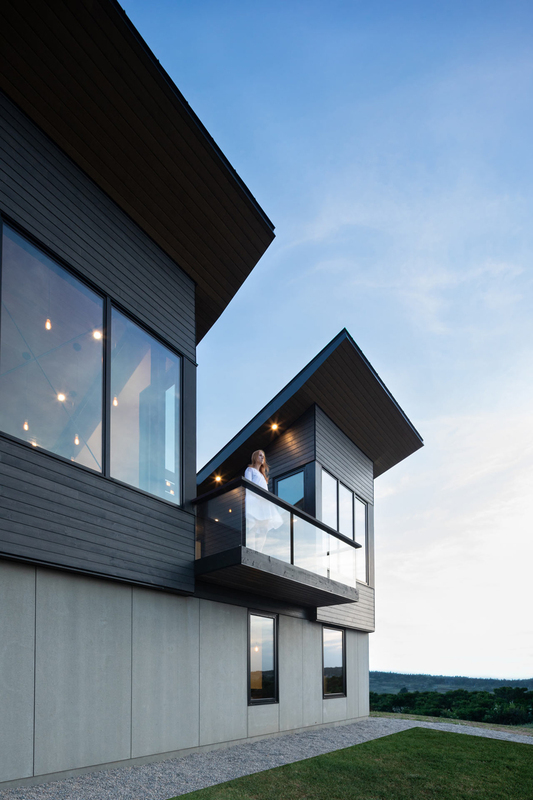 The other side of the home opens up with windows facing the seaside views while also managing to keep privacy in mind. 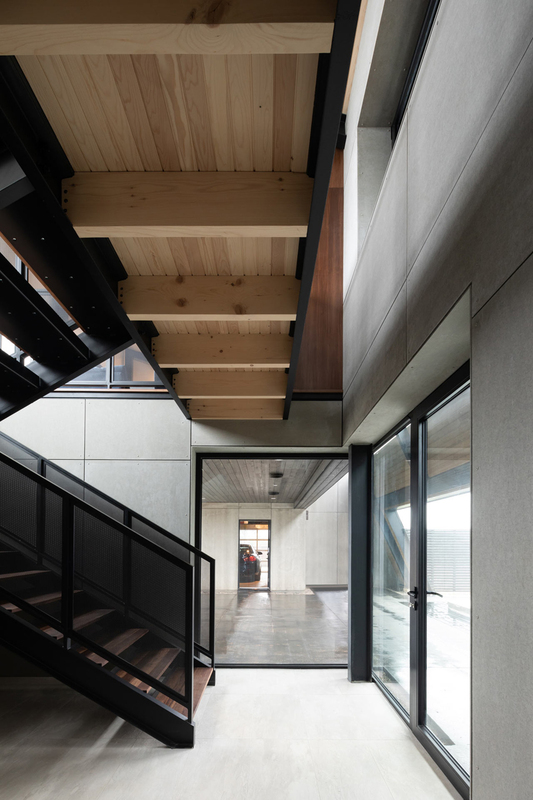 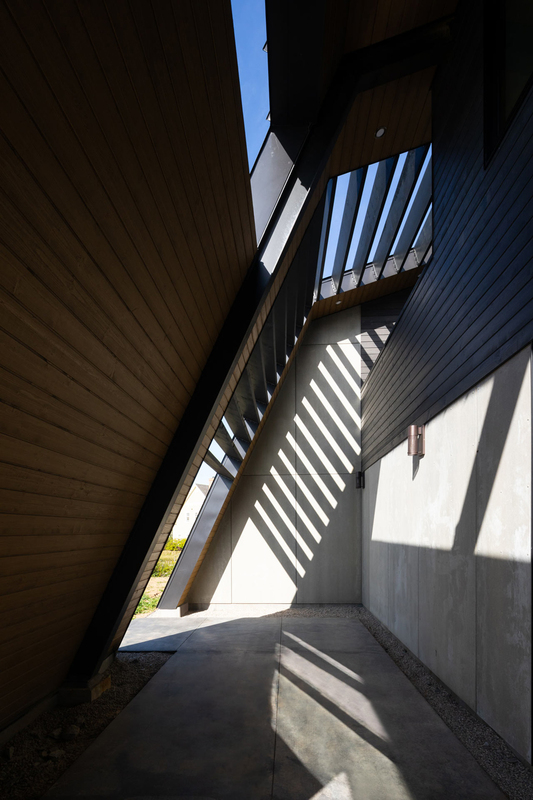 A staircase in walnut and black steel connects the two floors in the central part of the home. 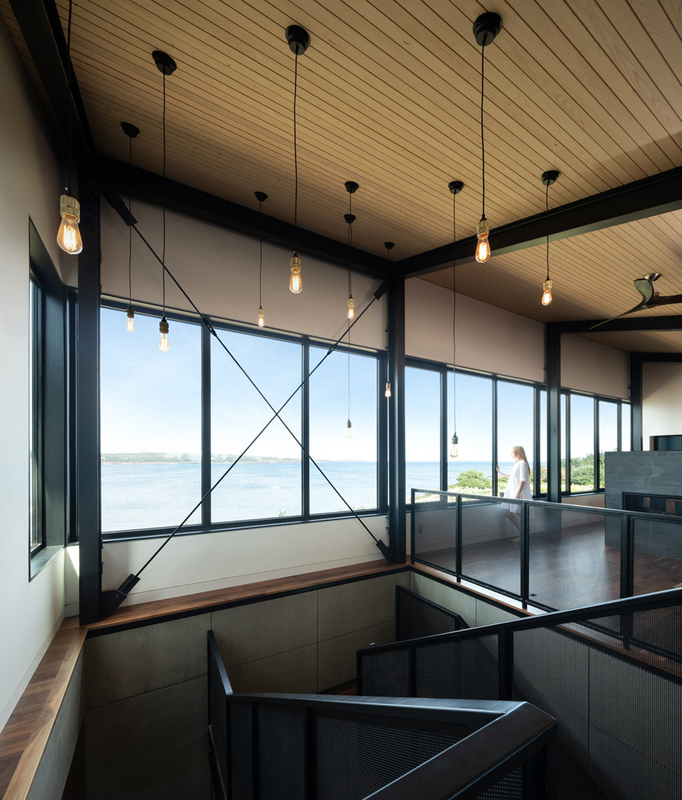 Upstairs, the tall, slanted ceilings make the space feel large with the windows on the back wall. 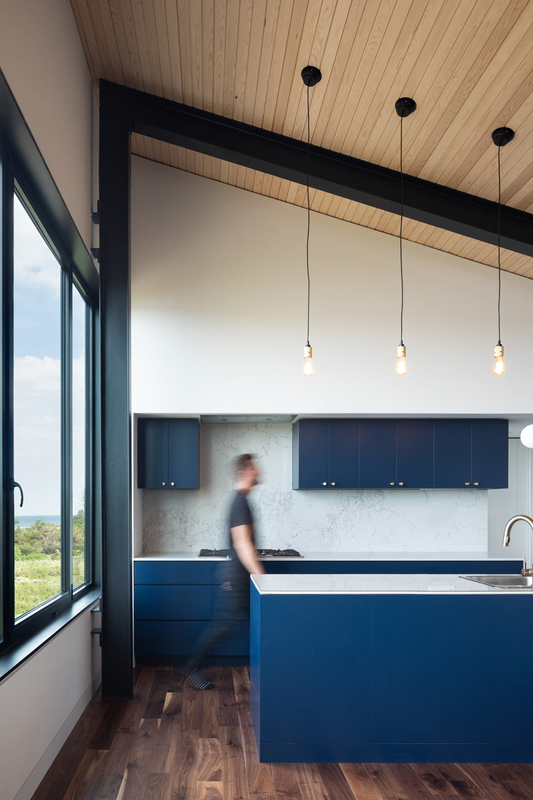 A combination of light and dark woods and brass fixtures were used for a cozy, warm feel. 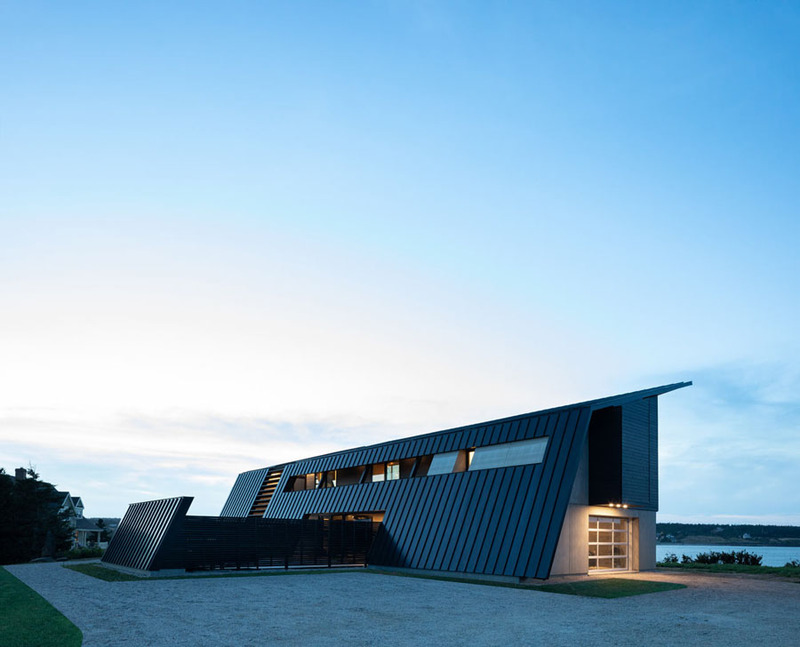 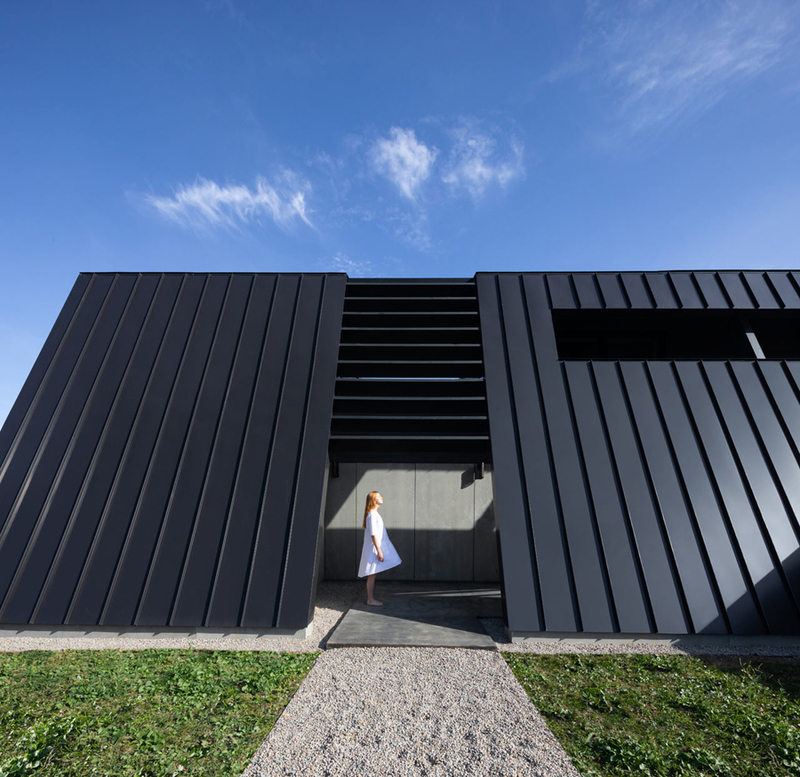 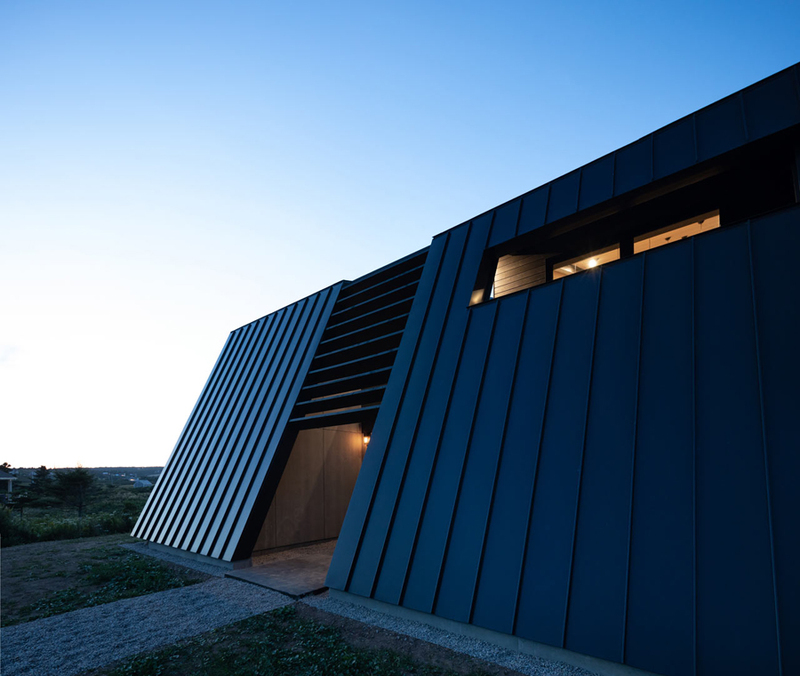 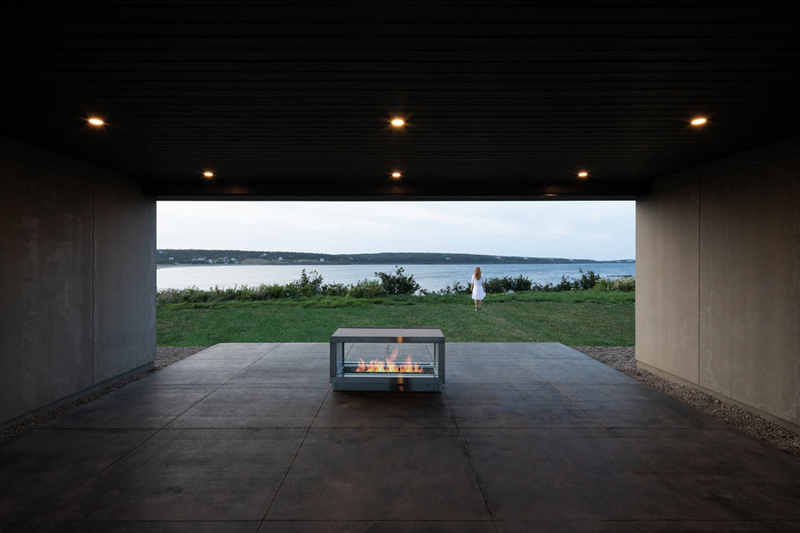 Also be sure to check black minimalist house in Quebec.